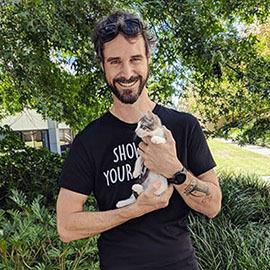 Purrfect Paws Rescue is a not for profit organisation teamed by volunteers - focusing on foster care, fund raising and community education. We are currently applying to be an Incorporated Association and once approved, will apply for a charity licence and will update our records once approved. 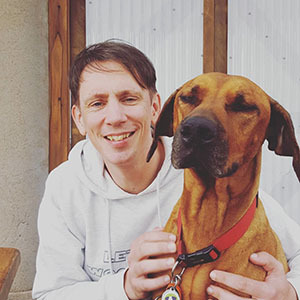 Our volunteers have extensive rescue experience and are amazing foster carers. All animals will live in a loving foster care environment until they find their forever home. Smokey has come into rescue care because his owner is very ill. Although this boy's life has turned upside down, he is managing to adjust well. He is such a sweet natured kitty. Full of love to give and is now looking fr his new 'forever' home. These stories are so sad.....not only for the family, but also for the family pet, who has no idea why, all of a sudden, they have lost their people. 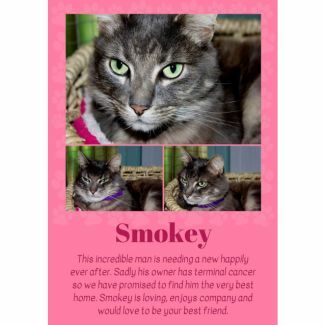 Lets see if we can find Smokey a fantastic home. He is truly an amazing boy. 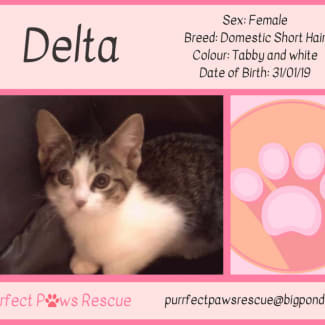 Delta is sweet just like a Delta Cream biscuit. She loves to cuddle. Loves to explore and loves to play. Delta has courage and loves to be among the forey with her siblings and other foster mates. 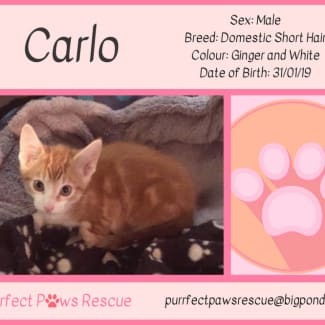 Carlo LOVES to play once he gets past his shyness. He is big on snuggles, playing tag and chase with his big kitten family and has a huge purr. This little guy is happy to sit and watch what is going on and get in on the action. Monty is a little shy at first but has a very sweet personality. 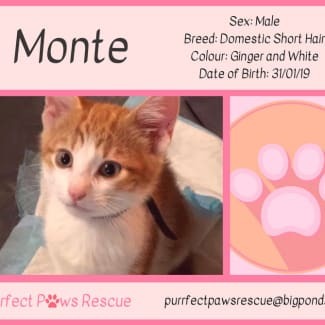 He has the biggest purr on him, he loves to be around other kittens and cats and he also loves to play. Honey is a love bug. She is very smoochy, loves to sit on your lap, sleeps on the bed, plays very gently, needs company when you are home and will purr until the cows come home. 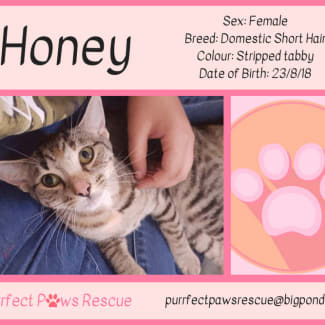 Honey would likely best suit a home as the only cat but given the appropriate time and patience would likely settle with an existing cat.